This article is about a Blood Magic reagent. You may be looking for the Thaumcraft essentia Potentia. 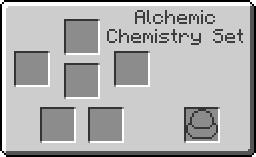 Potentia is the alchemic element of energy from Blood Magic, used in Alchemy and Summoning. This page was last modified on 17 December 2018, at 19:14.